It’s hard to believe that this is the final weekend of March. Spring is very nearly here, which has us thinking about Easter already. And we we think about Easter, The Candy Factory immediately comes to mind. When some think of Easter candy, horrid things like Peeps come to mind. We’ll never really understand the popularity of that particular confectionery treat, but we digress. We prefer to focus on things like chocolate covered strawberries. Or chocolate covered potato chips. Or chocolate covered anything else that’s edible. Sweets tend to connect our minds to significant events in our lives. Wedding cake. Valentine’s Day chocolates. Really, every time we as humans get together and celebrate candy or some kind of sweet is involved. Which means all the celebrations we have are tied back to our friends at The Candy Factory. 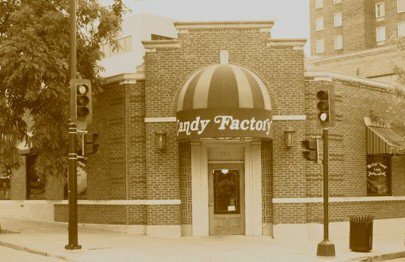 The staff at The Candy Factory are the finest experts on sweets anywhere in Mid-Missouri. When we have questions about what the perfect sweet culinary perfection would be for that special occasion, they have an answer. Alternately, they know when it’s best to let us just wander aimlessly through their store while reminding us not to drool on anything. Intrigued? Drool along with us on Facebook and Twitter.